Microsoft Outlook and Outlook Express are both known email client in today’s world which not only helps us in connecting with the outer world but also is an efficient tool in making our day to day work easy. But like other applications, it also faces various types of issues. If something doesn’t work accordingly your Microsoft Outlook and OE will show an error. So with this article, you will come to know how to resolve this Outlook send and receive Error. One of the first steps that you may need to take is to check your internet connectivity. For this, just open the browser that you use and go to any website. If the webpage opens at a normal speed. Then it is an indication that your internet connection is Ok. In this case, you need to move on to the second method. Integrating anti-virus with Microsoft Outlook or OE has some disadvantages so it is always suggested not to use or integrate an anti-virus in email clients. Sometimes firewall blocks incoming and outgoing emails from MS Outlook and Outlook Express which causes send receive error in outlook. So do have a look, whether your email clients are kept under exceptions or not. If your account is not configured properly then there are good chance that you will receive this Outlook send receive error. if everything seems ok then I would suggest you to reconfigure it again from scratch after deleting your profile. Sometime when you send a heavy file through MS Outlook or Outlook Express, it get stuck in the outbox. And deleting it becomes hard. And sometimes these unsent files may create Outlook send receive error 0x80040610. To make that possible, first enable the “Offline mode” of MS Outlook / OE and then delete the file. Server time-out is basically the time limit defined for Outlook to wait for its server to respond when sending or receiving a file. By default, the time mentioned is only 1 minute which is very low for big files. So increasing the server time-out to 2 or 3minutes is always a good option. If your mapi32.dll file is corrupt then there are chances that you will be facing Outlook Express Send Receive Error. To resolve this, run MAPI Repair Tool which you will find under C:\Winnt\System32 or C:\Windows\System32 folder. The above share methods are one of the best methods to fix send receive the error in Outlook. However, these techniques might not work, if your files are corrupted. For that, you might have to go for a recovery tool. 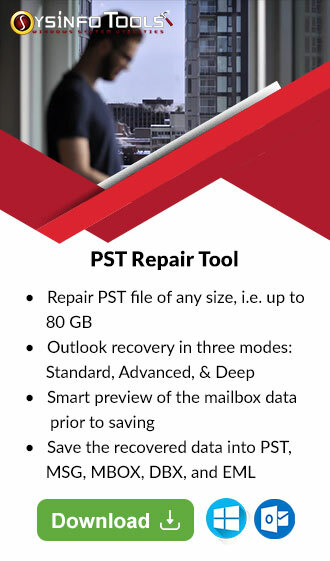 And MS Outlook Users may opt for “Outlook PST repair tool“ or may check out this article How to Repair PST File if SCANPST.EXE Fails? Hope you liked this article and if you have any questions regarding how to fix outlook send receive error, you may mention it in the comment section.